The new year 2011 has came with bringing lot of changes in the Arab World. 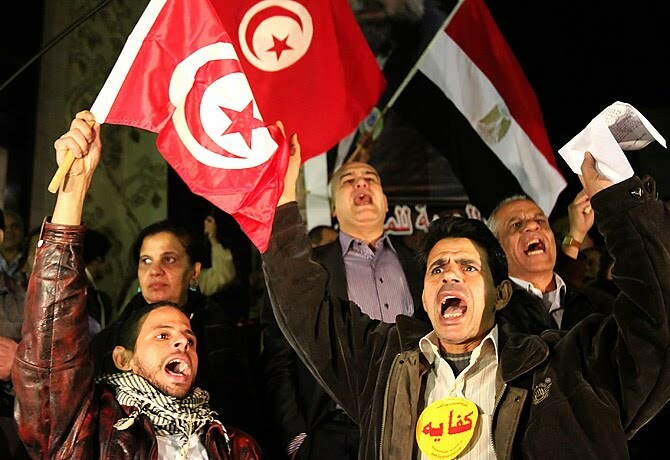 The month of January brought change in Tunisia after massive protests President Bin Ali ran away from Country. The month of February brought an end to 30 years rule of Former Egyptian President Hosni Mubarak in results of bloody clashes and Protests in the Country. Now these Protests are heading to more Arab countries from Tunisia and Egypt. In Bahrain Protesters have came out on roads and clashes between Protesters and Security Forces are taking place. Several people are also killed in these Protests. Libya is another big Arab Country where protests against President Moammar Gadhafi are taking place. Clashes are also reported in Libya between Police and Protesters. In Another Arab Country Yemen Protests are taking place from last 6 days. In Jordan as well small scale protests are reported.